Hellas News published the following news report online on August 5th (see video below), which speaks about an icon of Saint Nektarios on the island of Rhodes that "bleeds", particularly from the hands, and has been doing so continuously for many months, bringing large crowds from all over the island to venerate it and become partakers of its wonderworking grace. This awe-inspiring spectacle was first observed on December 19th of 2016, when the priest-theologian Fr. 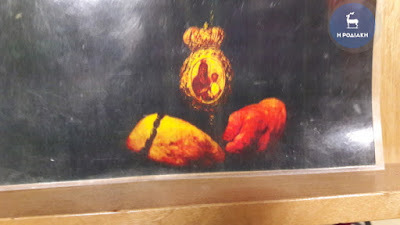 Spyridon Lingas went to the chapel of the Monastery of Saint Nicholas in the area of Psaltos in Lindos of Rhodes, and as he went to venerate the icon of Saint Nektarios, he saw that it was flowing with a red substance, called "blood", particularly from the hands. 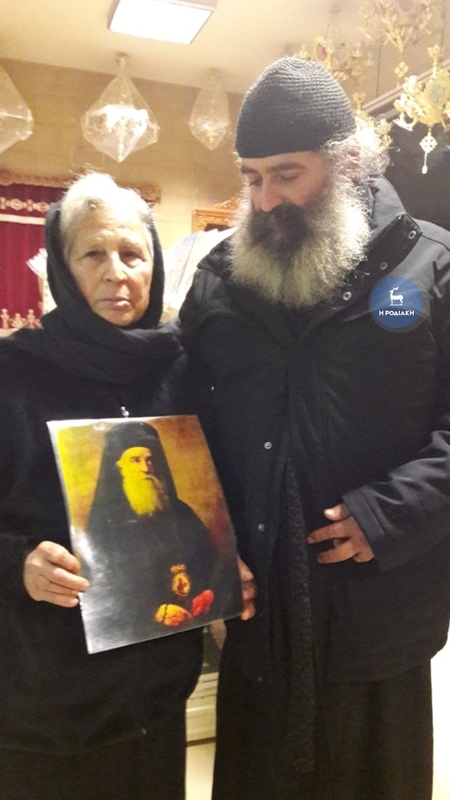 It was noticed the evening before by some ladies as well, when they noticed that the previously white hands of Saint Nektarios suddenly turned red. 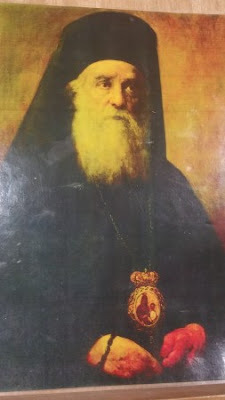 Metropolitan Cyril of Rhodes was informed that same day, and he advised them to keep him informed with whatever happens. Since then thousands of faithful have come to venerate the icon, that continues to gush forth "blood", and light a candle before it. And though the faithful are saying, "It is a miracle! A sign that is telling us beforehand that something will happen," Fr. Spyridon tells them, "Do not be afraid, it is a good thing." Fr. Spyridon is parish priest of the nearby Church of the Dormition of the Theotokos in Lindos. Doubters have speculated that this could be the result of humidity or it has been colorized, but these theories are easily debunked when one considers that it is a plasticized icon, and at some points the blood seems to be flowing and at other points it is thicker, and it looks like blood instead of any other substance. It also is giving forth fragrant myrrh randomly, the fragrance of which fills the entire church at times. Fr. Spyridon points out, "There is no need to wait for something like this to obtain faith and do good deeds. Every day we have to offer ourselves, to be as God wants us to be, to not hate but to forgive." One commentator also laments the fact that it is unfortunate people need something like this to believe and to make their faith real, though it also strengthens the faith of those who believe already and gives them extra courage in these difficult times.